Many fitness professionals have seen and tried Vibration Training (VT) and wondered, how exactly does it work? The simple answer: it stimulates natural reflexes in the body that result in more muscles doing more things more often. Obviously, behind the simple answer lies a more complex one. First, VT is about “harmonic mechanical vibration” meaning it is precise, predictable and safe for the human body (unlike say a jack hammer). The vibrations have two components: frequency and amplitude. Frequency refers to the platform’s speed of movement and is measured in Hertzes (Hz). Typically, platforms that are scientifically safe and proven vibrate 25-50 times per second. Amplitude refers to the distance that the platform moves with every vibration and typically is only a few millimeters. We can think of these two factors as the ‘intensity dials’ for VT and we can use them to turn the intensity up or down, i.e. a higher frequency and amplitude would add greater vibration (intensity) to the body. This brings us to the second crucial factor: the platform actually moves. In the case of Power Plate, for example, it moves in three directions – up/down, side/side, and forward/backward. The most important of these directions is the up/down. Why? Because every time it moves up and down it leaves our base of support and returns. As a result, two things happen which are the crux of how VT works. Proprioceptors are specialized sensory receptors on nerve endings found in muscles, tendons, joints, and the inner ear. These receptors relay information about motion or position and make you aware of your body position and movement in space. Our reflexes and proprioceptors are turned on not only to maintain our balance but also to produce force and they must do this 25-50 times every second. This would mean that doing a movement for 30 seconds at 30 Hz results in potentially 900 muscle actions (30 x 30). Clearly this is a lot of work and research documents significant outcomes in strength, speed and power using VT in a diversity of populations from active aging to athletic performance. The micro hits of ground reaction force are of equal importance. When we move, gravity is ‘pulling’ us down but as our foot strikes the ground, the ground hits us back with reaction force. VT replicates this and is one of the biggest differences between VT and other forms of unstable surface training. These other devices typically do not ‘hit’ us back. Research shows that this type of instability training enhances rehabilitation and recovery time, fall prevention, as well as Active Daily Living tasks (ADLs) in the elderly. So – the platform moves 30-50 times per second, in three directions, and stimulates reflexive responses in our nervous system. Simple. However, when we look at the responses to these reflexive actions it reveals even greater benefits. Every time we contract/relax a muscle we also get a muscle pump as well as a cardio-respiratory response. Indeed it is the effort of working muscles that stimulates a cardio-respiratory increase. 900 muscle actions in 30 seconds would thus increase the demand to provide fuel to those working muscles. Research has shown VT can significantly improve circulation, oxygen uptake, and metabolic demand, again proving this is more than mere ‘balance’ training. Given these responses and outcomes, it should not be surprising to learn that VT has a significant positive impact on bone mineral development. For me – as a coach and as an operator – this is a game changer. A proven technology that safely and effectively enhances bone development not only improves performance…it changes lives. If the outcomes seem too good to be true – they are not. They are proven. The mechanisms are simple and the results are significant. The tricky part is in knowing how to get them, i.e. program design and methodology. Thankfully, that also exists but is not for this article and is a mix of part science/part art - just like all program design. Why use Vibration training? Well to some degree it is one of the best-kept secrets in the health, wellness and performance industries. The simple reality is that it empowers us to enhance everything we do and in less time. Scott Hopson is an internationally recognized leader in human performance, coaching and education. He is co-founder of Pivotal - a global development company empowering people to fulfill their greatest potential, and PTA Global - the leader in professional fitness development. In a career spanning 20+ years, Scott has taught 2000+ live events, impacting over 100,000 coaches, clients and athletes, in more than a 100 countries. 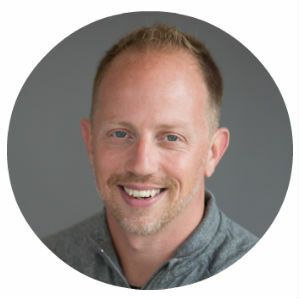 He is an Education Director for the Gray Institute, a global educator for EXOS, and Advisory Board Member for Power Plate. Scott is renowned for his great passion and work in professional and youth coaching development. His work has been integrated into Olympic Associations, NFL, MLB, NBA, NCAA, Tennis Corporation of America, senior club rugby, youth soccer, as well as the many of the best health and athletic clubs around the world.